On April 10, 2012, United States Army staff sergeant Travis Mills of the 82nd Airborne was critically injured when he stepped on an IED (improvised explosive device) while on patrol during his third tour of duty in Afghanistan. 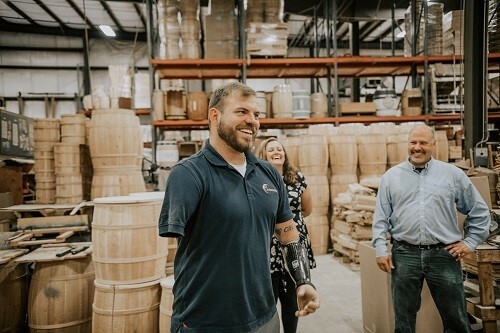 He lost portions of both arms and both legs and is one of only five quadruple amputees from the wars in Iraq and Afghanistan to survive his injuries. True to his motto, “Never give up, never quit,” Mills has turned that life-changing moment in Afghanistan into something positive. In September 2013, he founded the Travis Mills Foundation - a non-profit organization to help combat-injured veterans. The recalibrated warrior is also a motivational speaker, actor, author, and earlier this year he got involved with the insurance industry. In October, Mills became one of three owners of CBU Benefits, a Maine-based company that works with insurance brokers and agencies to provide supplemental health options. With Mills on board, CBU Benefits aims to connect with millions of hardworking families that are unaware of the benefits of supplemental insurance to ensure they have financial protection from life’s unexpected events. Supplemental insurance helps pay for out-of-pocket expenses that regular health insurance does not cover. Out-of-pocket expenses might arise from the death of a family member, disability resulting in loss of one or more pay-checks, accidents resulting in recurring medical visits, cancer diagnosis and lengthy treatment, and diagnosis of heart attack, stroke and so on. The coverage also protects Americans against the monumental deductibles that are now very common in health insurance plans. “We’re in a sweet spot for supplemental benefits in the US right now,” commented Brian Heath, managing partner at CBU Benefits. “The advent of the Affordable Care Act and the dominance of high-deductible health insurance plans are leaving people open to significant financial exposures. One terrible car accident, illness or a crisis along the lines of what Travis went through, and most people are looking at high amounts of out-of-pocket expenses because of the insurance plans they carry. The Federal Reserve Board’s ‘Report on the Economic Well-Being of US Households in 2017,’ found that 40% of adults would be unable to pay an out-of-pocket unexpected expense of $400 without selling something or borrowing money. This is a 10% improvement from 2013 but is still a huge figure and gives a good idea of how close to the edge many Americans live. GoFundMe reports that one in three funding campaigns in the US are set up to help people with medical issues and debt they can’t escape from. As the sweet spot for supplemental insurance continues to grow, there are opportunities for insurance brokers to build new markets around supplemental benefits. Success is all about conveying the information in an impactful way, according to Mills. For the past few months, Mills has been travelling the country and talking with businesses about why they should consider supplemental insurance in their benefit plans.